NOTE : A scam was relayed using the Iranian Instute for Research in Fundamental Sciences. 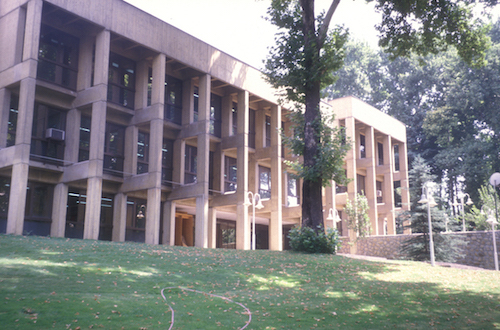 The Institute for research in fundamental sciences (previously the Institute for Studies in Theoretical Physics and Mathematics, often shortened to IPM (Persian: پژوهشگاه دانشهای بنیادی‎‎)) is an advanced research institute founded in 1989 in Tehran, Iran. The institute was the first Iranian organization to connect to the Internet. It is also the domain name registry of .ir domain names. The institute has four main campuses, all north of Tehran in the Farmanieh district, immediately south of Niavaran. It offers advanced PhD degrees in areas such as Mathematical Logic and Plasma Physics among others. 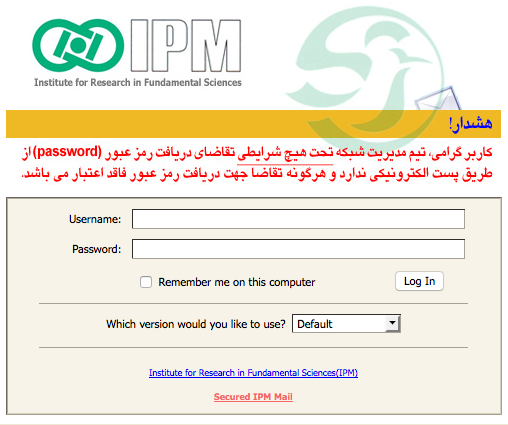 IPM is directed by Mohammad Javad Larijani, its original founder.